With Navien Condensing 98%, you get the best of both worlds: the Best Value and “Ultra Condensing Efficiency,” which offers substantial savings and contributes to a green-friendly environment. Plus, the installation and venting processes are easy, cost effective, and Navien’s products are simply the best in quality and performance. For over a century scientists have known of the germ-killing properties of ultraviolet light. 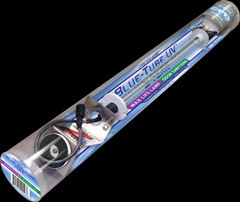 The antimicrobial power of UV light is used in water treatment facilities, in the food industry, and in hospitals where it is used to clean the air and reduce the threat of airborne infection as well as to disinfect surfaces and surgical instruments. Today this powerful disinfeting technology is available for our homes and businesses resulting in healthier, safer, indoor environments. CROWN's new array of boilers combines the best of the new…dressed in new magenta and gray colors to symbolize the enhancements that they have inside. 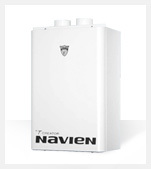 The new boilers are attractively designed for the homeowner and easier for the contractor to install and maintain. Beginning with time-tested designs, CROWN engineers have added the best of the new technology for economy, safety, comfort and long life. CROWN's new models are fully assembled and tested. 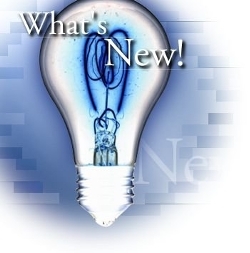 In fact, many of the enhancements resulted from suggestions that we have received from those servicing. 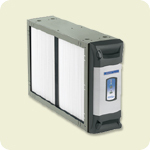 Removes over 99% of the common flu, or influenza A virus, from the filtered air in your home. At Boswell Plumbing, Heating, Air Conditioning and Electrical, we pride ourselves in staying up to date with the latest in new technology - and those presented here are a few examples of the latest in equipment and services for residential and commercial applications. Our highly skilled service personnel regularly stay up to date with new products and services through a series of manufacturer training seminars and continuing education programs. We look forward to being able to answer any questions that you may have and invite you to click here to Contact Us or call directly at 757-229-4890.